For DACE students, items borrowed from the Miners' Library and other Swansea University libraries will have a loan period of four weeks. At the Miners' Library there are no late fees charged for overdue books; however fees apply on books from all other libraries. Books will now also renew automatically unless requested by another user. An e-mail will be sent to your Swansea University e-mail account to inform you if your book has not automatically renewed and must be returned within the next seven days. The best way to monitor the books on your account is to regularly log-in to your iFind account. Once you have found the correct item using iFind, make a note of the call number. The signs posted to the ends of each shelf should guide you to the right section, where you can then follow the call number sequence until you find the one that matches yours. If you are unable to locate an item, or require any assistance, please do not hesitate to contact a member of staff. The main collection at the SWML is located on the first floor. Turning left at the top of the stairs takes you to the section which covers BF - HF, whereas continuing ahead covers HG-Z. 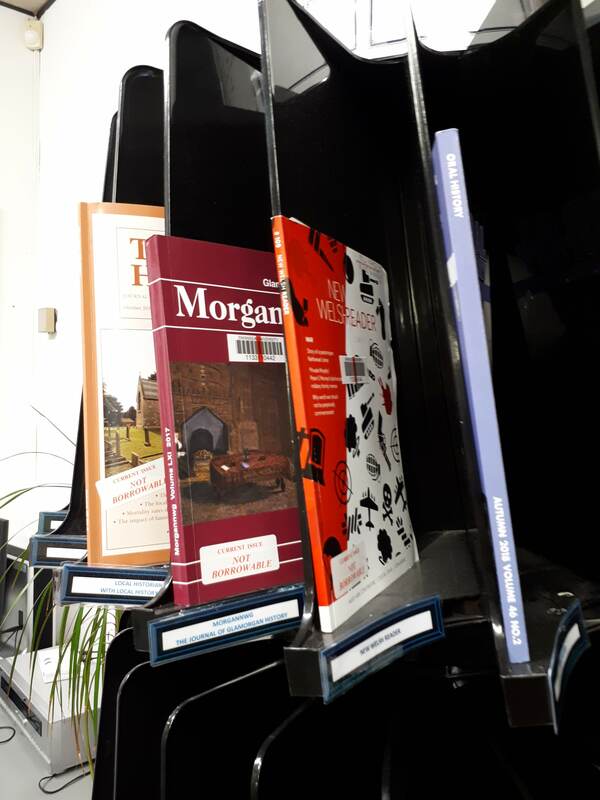 The Folios [those books too large to fit on normal shelves] are also located on the first floor. Pamphlets, periodicals, reference books, Audio-Visual materials and Coalfield Collection items are kept on the ground floor. Most of our e-Books can be found via iFind. Our e-books are available via three main websites: dawsonera, EBSCO and ebrary. These tabs will tell you a little bit more about the three main databases. To login, use your Swansea University username/password combination. Please contact miners@swansea.ac.uk if you require further assistance. There are many thousands of ebooks in the Dawsonera catalogue, produced by academic publishers around the world. Your institution may purchase a selection of these to create a tailored collection of ebooks for you to read. If ebooks have been purchased, you can find and read them by using the Reader Portal. Proquest Ebook Central offers authoritative ebooks in a wide range of subject areas, along with powerful tools to help you find, use, and manage the information you need. Our periodical collection [located on the ground floor] contains a wide variety of journals across numerous subjects. These include History, Literature, Politics, Sociology, Education and Women's Studies. The most recent issues of each journal is kept on our carousel. Here you'll find some key databases for locating relevant articles. Using the 'Articles & More' tab in iFind will also allow you to search for articles from various sources & publications, filtering certain properties (date published, author, location) if you need to be more specific in your research. The Welsh Journals online website provides free access to a growing collection of online digitised back-runs of 19th, 20th and 21st-Century Welsh and Wales-related journals held at The National Library of Wales and partner institutions. The site is currently in a beta phrase with new material being gradually added, however it is intended that it will eventually hold over 400,000 thousand pages of text from journal titles covering the arts and humanities, sciences and social sciences. iFind is the catalogue used by all Swansea University Libraries. You can use the drop-down tab on the right to decide whether to search for books, articles, Cronfa (staff research) or everything. Your log-in to your iFind account at www.ifind.swan.ac.uk . Click sign-in, at the top right hand corner, and input your Swansea University username and password. You will then be able to access the 'My account' tab, which allows you to view your current loans, historic loans, requested books and fines and fees.